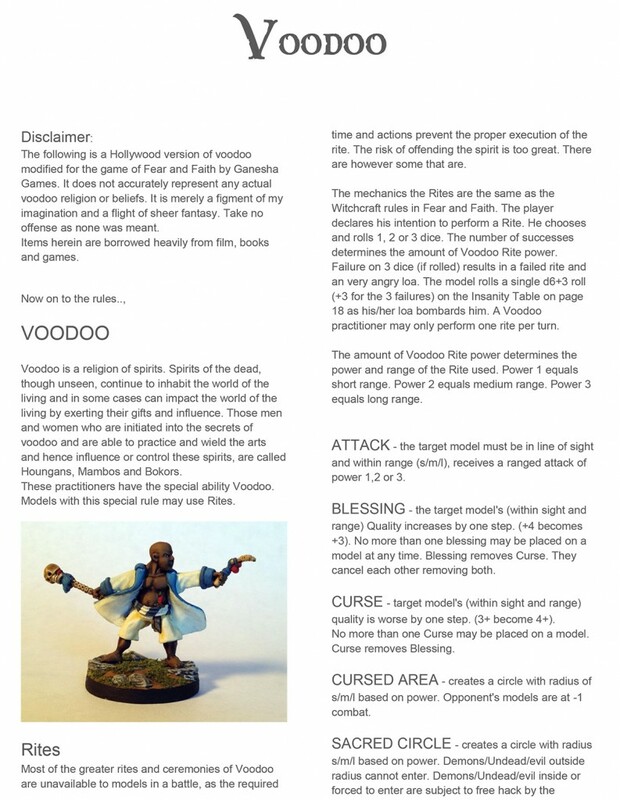 Following some test runs of the Voodoo Rules, I revised the Voodoo Rules PDF to reflect the needed changes. 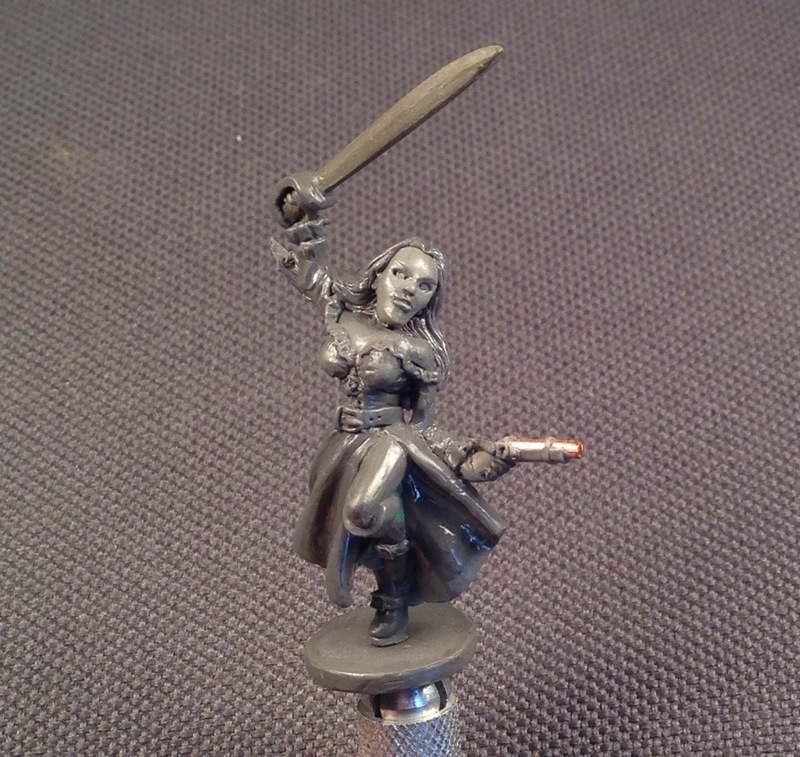 Though pretty pressed for time, I played out a demo of the Voodoo rules from the previous post. Actually, I played this a few weeks ago but never got the chance to write it up… until now. 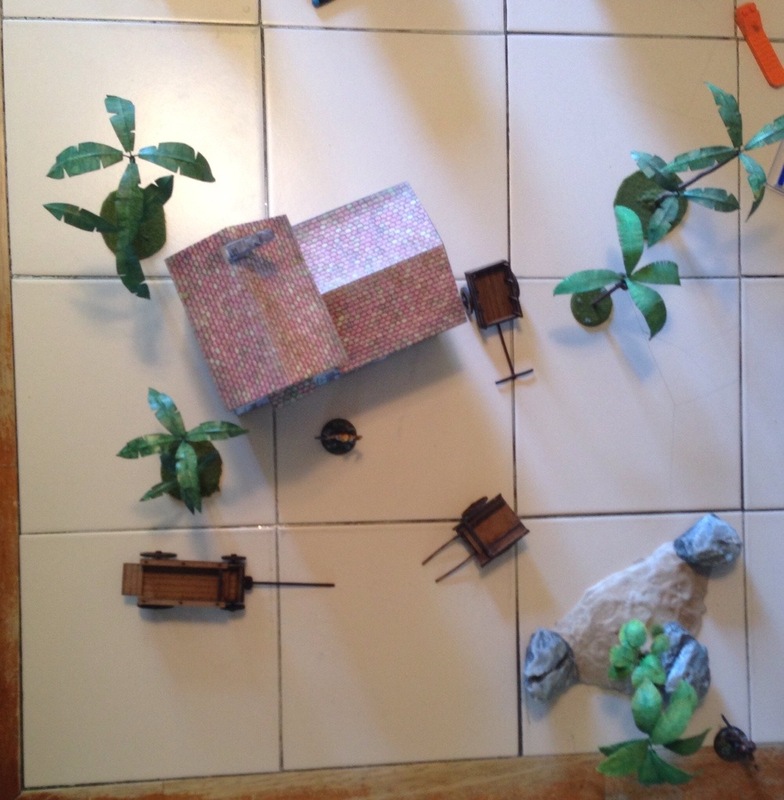 The story for the setup is Sergeant Bowers and a small troop of marines have followed rumors and tips to the lair of a certain Voodoo practitioner by the name of Ezikal. Alerted to the approaching marines, Ezikal and several of his raised “friends” come out to greet them. Points per side was set to 200. I’ve been working on this one for a long time but I think she’s just about done. Okay. So I tried out my devious plan of using And A Bottle of Rum (AABOR) Reaction tables with Fear and Faith with a very simple and quick scenario. Solomon Priest has tracked a pack of murderous bandits to their warehouse lair. One bandit remains outside on watch while the other 4 are inside. 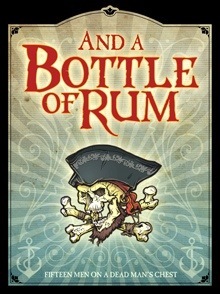 I did however pick up And a Bottle of Rum from Two Hour Wargames. Reading through it, the rules seem good on their own. But then, hey! Wait a minute! 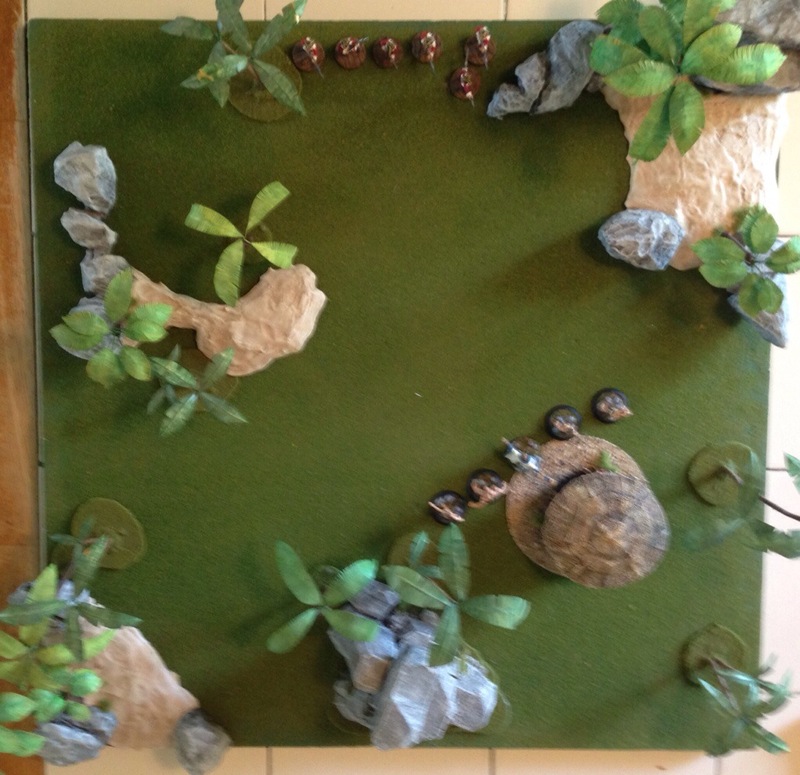 What if I combine the solo rules and reaction tables with my Fear and Faith games to simulate enemy actions? Anyone try this yet? If I use Quality and above rolls in place of Rep and below rolls for tests vs Rep, the outcomes should be the same. The other table rolls will remain unchanged! I will definitely give this a try and report my findings.